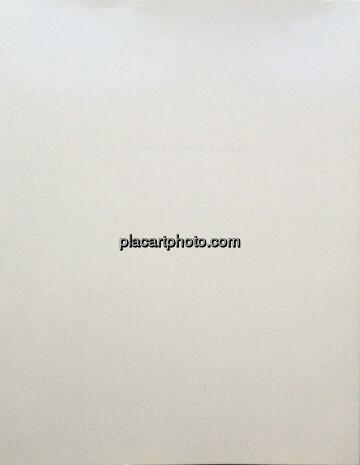 Comments: Softcover, gray on white laminated dust jacket, in original slipcase, 295 x 230 mm. 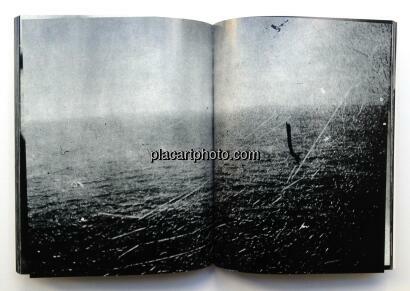 Reedition, 2006. Like new condition. 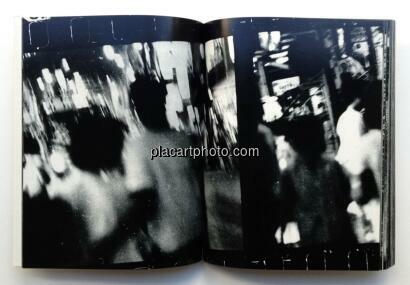 A revised reprint of Moriyama’s original and now highly sought after classic publication of 1972. 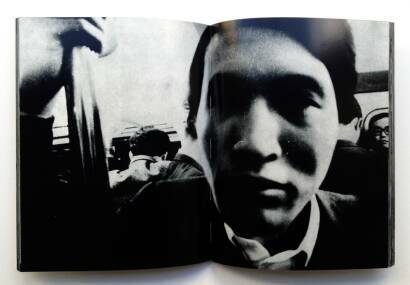 Inspired by William Klein’s blurred photos of New York street life, Andy Warhol’s silk-screened productions and Jack Kerouac’s free-spirited travel writing, Moriyama developed a new and radical approach to producing images. 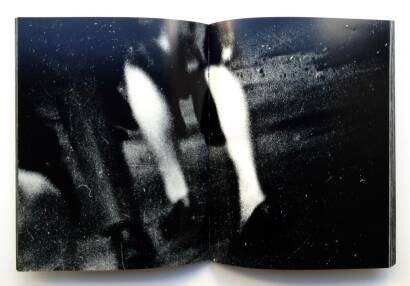 These broken, rough and blurred black and white photographs paved the way for what would become his future trademark style. 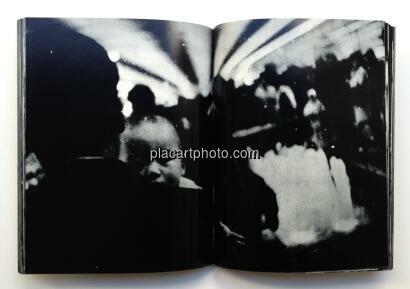 No prints or negatives exist for the material represented in the original Farewell Photography, so this reprint was produced using a copy of the original book as source material. 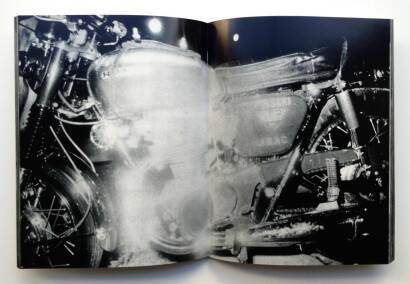 Larger than the original (and with no text whatsoever), this version emphasizes even more strongly Moriyama's frenetic, dynamic approach to image making. 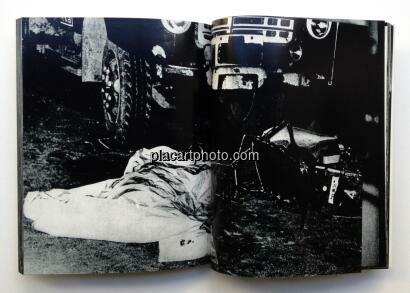 And the choice to reprint reprinted material (because, after all, the original book was still a reprint of the photographs themselves) raises interesting critical issues. 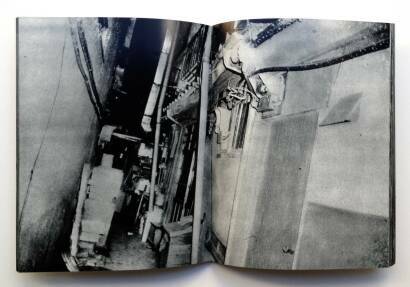 The aesthetic decisions involved reflect on both photography's development as a medium and the recent interest in the history of photography books - spurred in no small part by the Photobook history by Martin Parr and Gerry Badger. 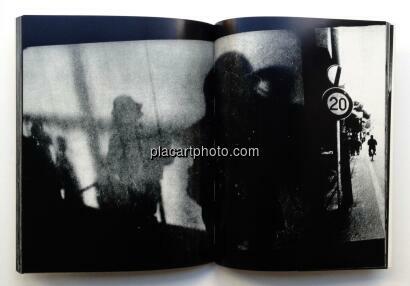 More than simply a reprint of a classic of Japanese photography, this is a reinterpretation.